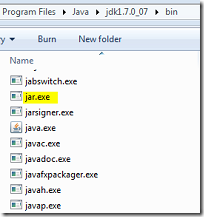 How to create an executable java jar file? I want to just double click the jar file and the application should run, please help me. 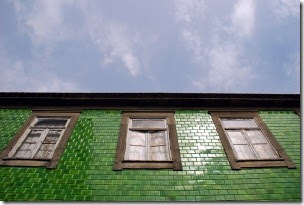 I want to convert my java application to a windows exe file, how can I do it? These are two frequently asked questions. For you guys who know about these things already you may skip this article, as there is no surprise element embedded. For us who are interested in learning new things go ahead, anything new adds up. How to Create an Executable JAR File? JDK gives us a tool to create jar files. Before creating a java jar file, we need to create a java manifest file. How to create a java manifest file? This manifest file contains information about the jar file. Information like which is the main java class to be executed, who created the application, version of the application, etc. It is a regular text file. Remember to press enter at the end of each line and importantly in the last line. This is the only line I have and that is sufficient for our purpose. We need a sample java application to enjoy this. Lets create a simple hello world type swing application. Just execute the following line (command) to create the jar file, you should have added JDK to PATH. Now we can double click the jar file and the application will launch and run. How to Create a Windows Exe file? If we create a windows native exe file, then we loose the platform independent-ness. Let us use a tool called Launch4J. It’s a nice tool, works good and easy to use. 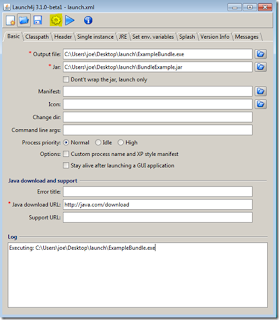 Download Launch4J and use the GUI to create the windows/Java exe file. 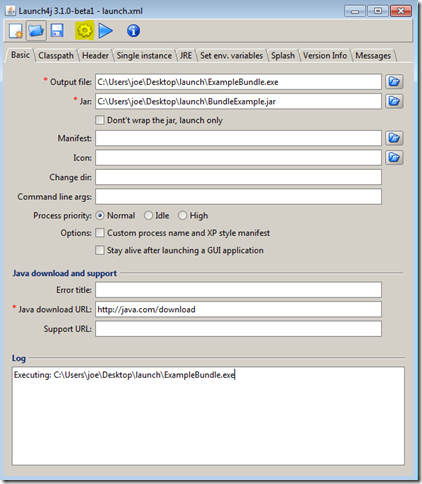 Launc4J creates an XML file to save the configuration. I have specified the output file, this is the name of the exe file to be created. 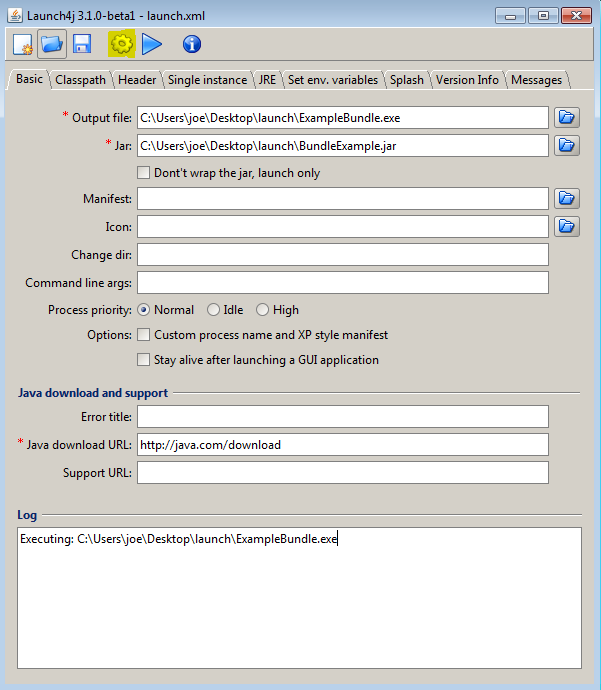 Jar is the input file which we want to bundle as an exe file. Lets use the Java JAR which we created in the previous step. In JRE tab, we can specify the Min JRE version required. So this will detect the JRE available in the system and verify if the version is sufficient. Click the cog wheel icon from the menu to generate the exe file.